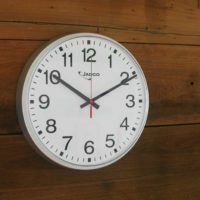 Categories: Analogue Clocks, Large Clocks, Outdoor. 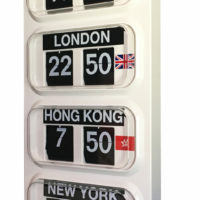 Tags: Changing Room Clock, Clock for wet areas, Exam Clock, Food Safe Clock, Pool clock, Water resistant clock. 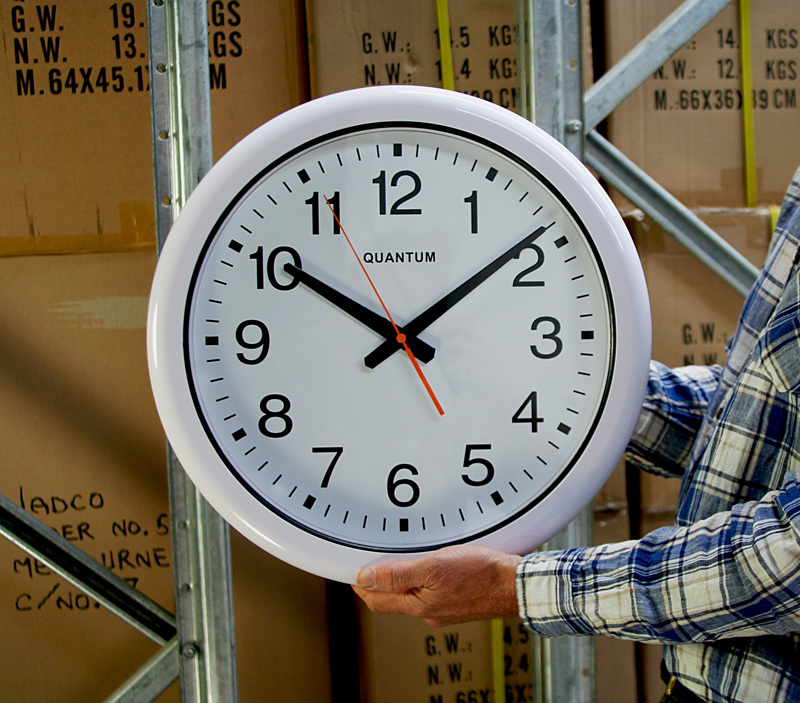 This large waterproof clock is IP55-rated which means it can be used in damp areas – from swimming pools and changing rooms to food preparation areas. The perspex shatter-proof lens complies with Australian food regulations. 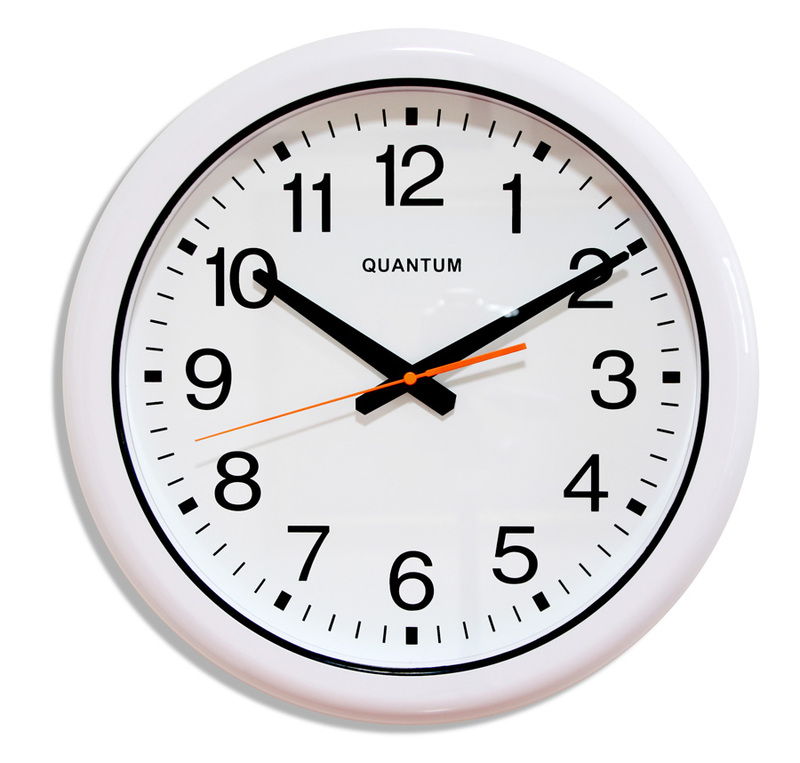 With it’s large 400mm dial and bright synchronous second hand, the W875 Swim Gym clock is ideal for sports activities that require referencing lap times. It can be viewed from 25 meters distance. 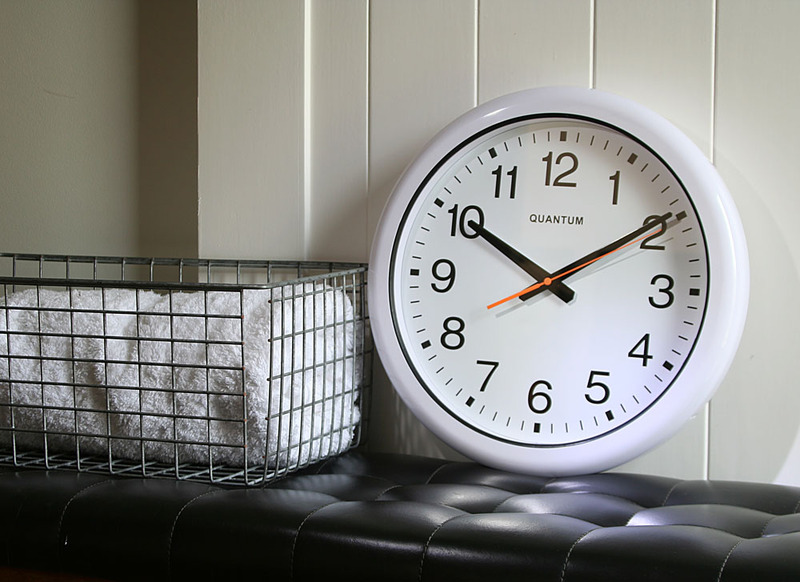 Additionally because of the waterproof casing, this clock is silent, which makes it ideal in situations such as exam rooms, libraries and recording studions. The battery and clock mechanism is housed in a rubber sealed compartment that is accessed by a twist-seal cover.